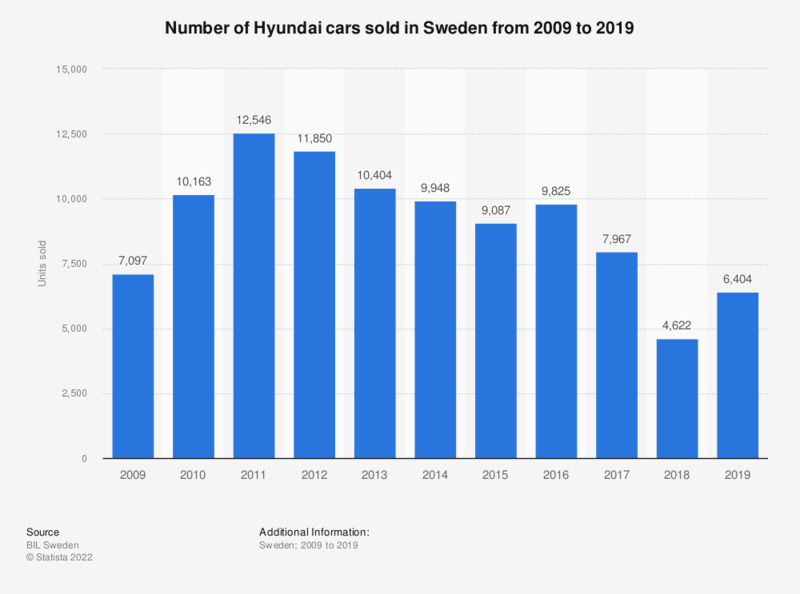 This statistic shows the number of cars sold by Hyundai in Sweden between 2008 and 2018. Swedish sales of Hyundai cars fluctuated over this period, peaking at 12.5 thousand units sold in 2011. In 2018, there were 4.6 thousand units of Hyundai cars sold in Sweden. Data for years prior to 2018 made available by the source. Indonesia: If you own/lease a car(s), did you buy them new or used?